Q: Under HSWA, who will be responsible for health and safety at work? The business itself. 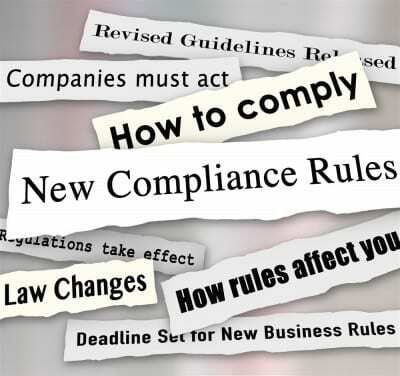 A new legal concept will be a person conducting a business or undertaking (PCBU). A PCBU will usually be a business entity, such as a company, rather than an individual. The business will have the primary duty under the new law to ensure the health and safety of workers and others affected by the work it carries out. This includes other businesses that share a work site or contract to you or that are part of the supply chain. A property owner, property manager and contractors/handyman engaged by a property owner or property manager are also considered to be PCBUs. Officers. This includes directors and other people who make governance decisions that significantly affect a business. Officers have a duty of due diligence to ensure their business complies with its health and safety obligations. Workers must take reasonable care to ensure the health and safety of themselves and others, and to comply with the business’s reasonable instructions and policies. Other people who come to the workplace, such as visitors or customers, also have some health and safety duties. It’s all about taking responsibility for what you can control. Q: What about offences and penalties? Reckless conduct that exposes any person to risk of death or serious injury/illness and is reckless as to that risk – fines up to $3 million for the PCBU entity (or $600,000 for individuals) or 5 years in prison. Failure to comply with a duty with exposure to risk of death or serious injury/illness – fines up to $1.5 million for the PCBU entity (or $300,000 for individuals). Failure to comply with a duty without exposure to death or serious injury/illness – fines up to $500,000 for the PCBU entity (or $100,000 for individuals). We recommend a management liability package incorporating statutory liability to provide the most effective policy response, covering defence costs and reparation awarded to the injured party or their family. Any fine imposed under HSWA cannot be insured, nor can you contract out of your responsibilities under the Act. Please contact us to discuss your existing insurance programme.